Generally, the contracting services of HVAC companies differ as to the markets they serve. Although service can include installation, maintenance, and repair, some professionals cater only to one aspect of the industry. In this market, there are many HVAC companies that address specific needs. Because of their varying expertise, choosing which professional to go for can be confusing. Your heating and air conditioning should always be among your priorities because they affect the air you breathe as well as your level of comfort. To help ensure that you maintain the right indoor air quality and comfort level, you should look for an HVAC company that provides dependable services. One such business is Smiley’s Heating & Cooling. Professionals demonstrate their expertise by efficiently performing their heating and air conditioning services. For other HVAC companies in the industry, though, it is more on having a team that is friendly and relatable. At Smiley’s Heating & Cooling, we have not only proven our capabilities through our years of experience. We have also shown our ability to work, not just as a team, but as a family. There are HVAC companies that appear to be independent contractors. Sometimes, these individuals are technicians who were trained by a HVAC company and ventured on their own. Smiley’s Heating & Cooling is composed of experienced technicians who are blood relatives. We have a sincere approach in providing our heating and air conditioning services to our clients because we believe in treating our clients like family. Having a heating and air conditioning system at home is a valuable commodity. There are families that sometimes invest a lot in a premium system but don’t hire an HVAC company to maintain it and make repairs to their heating and air conditioning equipment. At Smiley’s Heating & Cooling, we will not intrude on your privacy and assert our opinions on your heating and air conditioning systems if not needed. You can count on us to respect your decisions. Professionals always see to it that their services will be regarded as the best. Being the best does not only mean being the most professional. Smiley’s Heating & Cooling, more than having a team of professional technicians, delve into the heart of the matter and what matters is how proper the air around one’s home is distributed for a healthier home. Family comes first. Technicians who prioritize the comfort of other families just as they would their own are professionals that must be sought after. Smiley’s Heating & Cooling knows that to be effective, one must understand the core values of being a family. Not only will we go the extra mile to provide our services, but we will also meet you with a smile. A well-maintained home is achieved through sincere effort from the family that occupies it. With Smiley’s Heating & Cooling, you do not have to worry about the amount of effort we will give to provide for what you need. We have built a family and founded Smiley’s whose services will surely surpass your expectations. It is good to have a professional you can rely on to provide the service you need. It is better if the same company that provides the service can offer you the products you seek. Smiley’s Heating & Cooling, apart from providing exceptional services, also offer products you can depend on. We take pride in exclusively offering Trane products. Trane is at the forefront of the industry when it comes to heating and cooling systems for residential and commercial properties. You can’t go wrong with the units from this brand! We manages and regulates the heating and air conditioning aspects of houses and commercial buildings. We are one of the most trustworthy professionals that understand that the proper circulation and ventilation of air in the surrounding environment should be conducive to your health. As a family, we want to keep things healthy as much as possible and also teach that aspect to our clients. One of the most important things a family needs to be comfortable is a house that has proper heating and air conditioning. Household members should always see to it that even before winter, the boiler or furnace in the house is working properly. At Smiley’s Heating & Cooling, our technicians make sure that the quality of the services we perform is the same as what we provide for our own homes. It pays to have a place to beat the summer heat, so the cooling system of a house needs to be checked and maintained regularly. This is especially true during the summer. When families get together at this time, the heat can get on their nerves. Being family-oriented, we understand that a house needs to be ready for every turn of the season. One of the problems that homes encounter is saving energy. Because of a tight budget, families sacrifice a lot by sticking to their old heating and air conditioning systems. Smiley’s Heating & Cooling can give you careful and useful advice regarding the installation of a new system that is within your means. 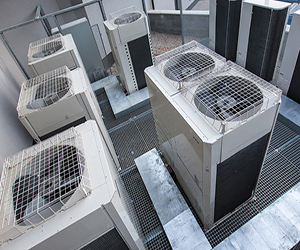 View benefits of upgrading your HVAC here. Providing professional services need not always be conducted in a rigid manner. Oftentimes, people gravitate toward a personable professional that relates to their heating and air conditioning problems. When you choose Smiley’s Heating & Cooling, you can expect that we will not complicate the process for you. Homeowners as well as commercial establishment owners look for a professional that would provide professional services without crossing boundaries. There are professionals that talk about their services and products without regard to what their customer really needs. Smiley’s Heating & Cooling is different. We make sure to provide only the best to our clients require because they matter to us. We have been serving home and business owners since 1986. Our longevity in the industry is a testament to our unwavering commitment to our clients’ complete satisfaction. Many rely on us time and again because we deliver heating and air conditioning services that are second to none. Entrust your heating and air conditioning system only to the experts at Smiley’s Heating & Cooling. Our fully trained and equipped technicians provide repair and maintenance solutions at reasonable rates for VA residents. Should you need your current system replaced, we can also do the installation for you. Get in touch with us today to book an appointment! Click here to learn more about us.